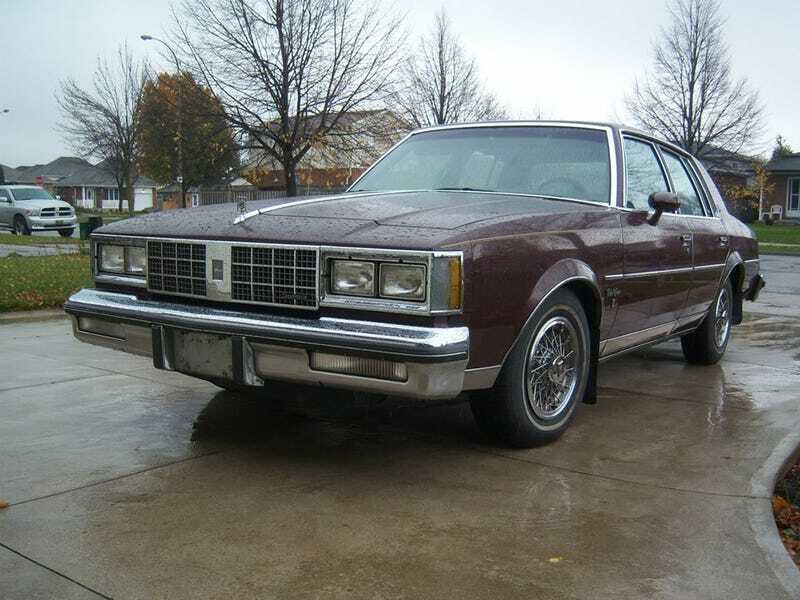 Car #1: 1984 Oldsmobile Cutlass Supreme Brougham. Canada-only factory 305 car. Slicktop, Burgundy on Burgundy. There’s no way in hell it would have passed a BC inspection so I gave it away to fellow Opponaut TheVancen when I moved to BC. Over 3 years later and he’s still got it. Car #2: 1995 GMC C1500 Sierra. Full-bolt-on 350, decat, magnaflow muffler, beefed-up 4L60E and 4.56 rear gears. Full Alpine stereo. Looked like an old man truck. Bought it for $1750, sold it for $2k a few months later. Car #3: 1996 Ford Crown Victoria. Kenwood stereo, side-exit exhaust, mini-spool, dumped on its nuts. Bought for $550, hooned daily and driven across Canada. Third gear took a dump so I ended up scrapping it for $200. Car #4: 2004 Infiniti G35 Sedan 6MT. Coilovers, intake, exhaust, coupe wheels, Kenwood Excelon head unit. Bought for $4800 13 months ago. Looks like I’ve picked a winner this time, a solid, fun and reasonably efficient daily driver for years to come. Four cars in a little over 3 years as a licensed driver seems par for the course around here, eh?